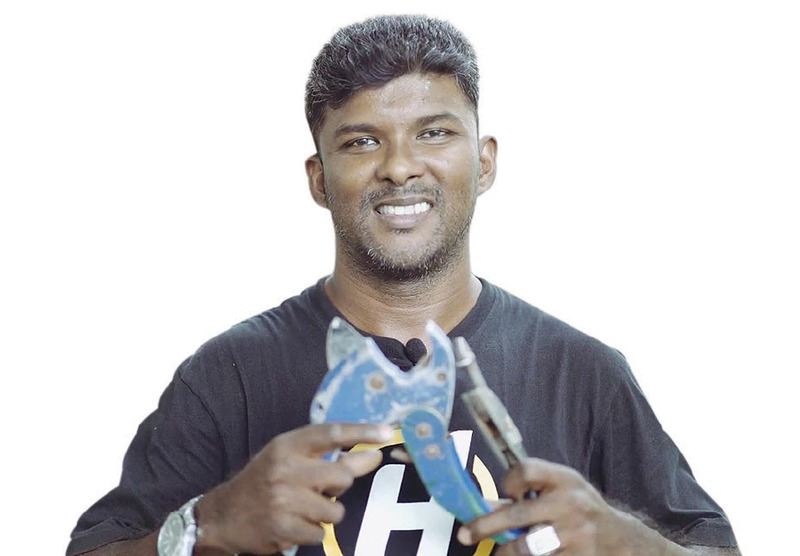 A SMALL-TIME plumber making an average income of RM15,000 a month may sound unbelievable but that is true with Tomas Arukiasamy. However, the 34-year-old from Kajang didn’t achieve success overnight. Tomas was once forced to sell off everything he owned after being scammed in a plumbing contract and also used up all his savings. But his will to pursue his plumbing business was very strong. He joined an entrepreneurship platform under eRezeki — a programme by the Malaysia Digital Economy Corporation (MDEC) to boost low-income households through digital income opportunities. Despite being forced to sell off his personal possessions, Tomas was determined to continue with his business. Tomas’ inspiring story is among the many success stories of eRezeki. For Malaysia to build a vibrant digital economy, digital inclusivity is vital as the people are the key drivers to the larger economy. After MDEC launched the eRezeki and eUsahawan programmes in 2015, the agency continued with its digital campaign #YOUCANDUIT to reach youth, SMEs, digital entrepreneurs and the Bottom 40.
eRezeki provides opportunities for individuals and low-income households to generate income through digital methods and technologies. Under the programme, individuals are given training to do appropriate tasks and become part of a competitive digital workforce. eUsahawan, meanwhile, is a digital entrepreneurship programme for vocational college students and micro entrepreneurs who are keen to move their business into the digital platform. Attendees at the eUsahawan training. Participants are exposed to digital marketing techniques that are effective, practical and relevant to current users. 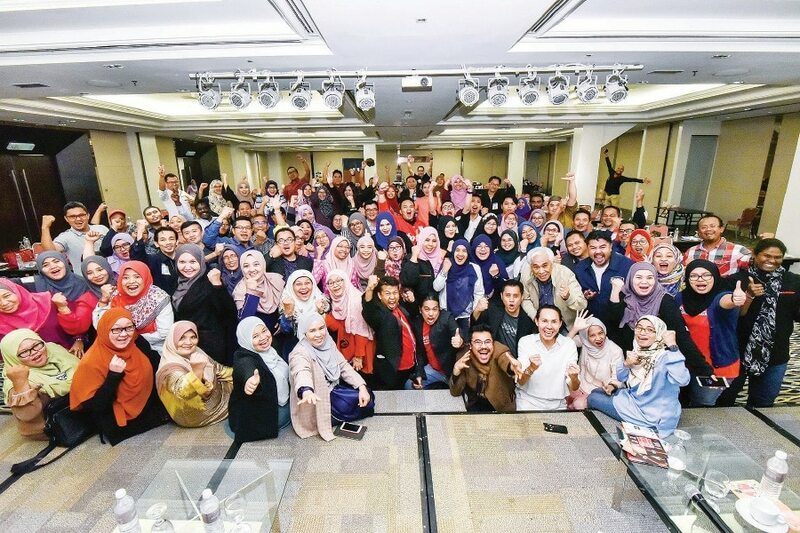 MDEC chief executive officer Datuk Yasmin Mahmood said that to date, the agency has trained 450,000 participants under its eUsahawan and eRezeki programmes. 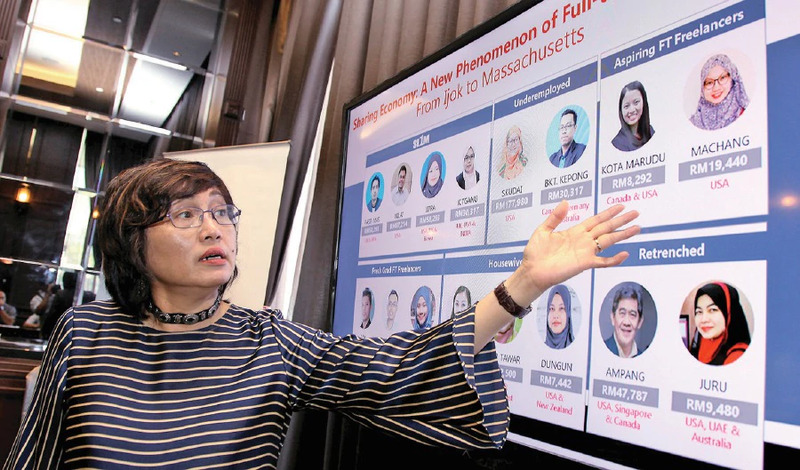 With a government allocation of RM100 million, she said it will be able to drive these initiatives further and encourage greater cross collaboration to support Malaysia’s digital inclusion programmes. Yasmin said that with the initiatives, cottage industries, housewives with certain skills, small family businesses or even individuals with skills can put their products, services and skills on these two platforms to generate income without leaving their families to work in big cities. “The eRezeki platform allows individuals to register as digital workers and perform simple digital-based tasks to generate additional income. “As digital technology has changed the way we work and live, individuals don’t have to go out and search for jobs in big cities anymore because the jobs follow them. It’s all about becoming a millionaire in your own kampung (village),” she said. Yasmin sharing some of the success stories. Yasmin said Majlis Amanah Rakyat (MARA), Armed Forces Ex-Servicemen Affairs Corporation (Perhebat), and the Women, Family and Community Development Ministry are among MDEC’s partners for eUsahawan training. A total of 400 classes are held every week at all its training centres nationwide. Tan Kim Yen from Tawau, Sabah, is another eUsahawan success story. Tan sells noodles from her small double-storey house. 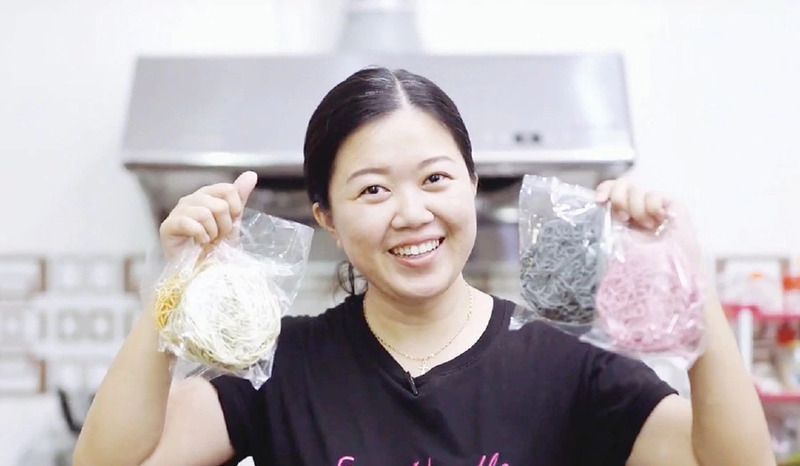 Her special noodles are made from a mixture of noodles and vegetables such as beetroot, spinach and carrot. The idea came to her after her children refused to eat vegetables. She decided to be creative and so her special noodles came about. As for how she ended up on the eUsahawan programme, she said her friend helped her register for it. 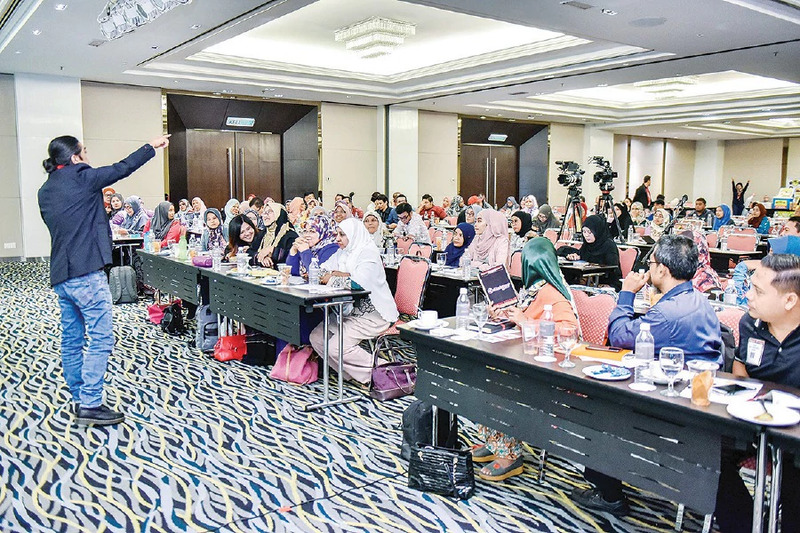 Among the things she learnt were how to place Facebook advertisements, Instagram and how to use online platforms such as Lazada and Shopee to expand her business. From a monthly sales of RM7,000, Tan now generates a whopping RM28,000! She has now set herself a monthly sales target of RM100,000. Tan started her business after her children refused to eat vegetables. Due to increasing demand, Tan now has her own factory with seven workers, 10 agents and 10 noodle machines. She supplies to supermarkets, restaurants and convenience stores all over Malaysia. Fresh graduate Mohamad Iamie Rosli saw the advertisement on the eRezeki Global High Income programme while scrolling Facebook. This initiative is a sub-programme under eRezeki to generate digital revenue consistently for Malaysians through crowdsourcing methods. As the Mechanical Engineering graduate was having a hard time finding a job, he decided to try the eRezeki Global High Income programme. He actively uses digital platforms now to generate revenue by using his skills such as engineering drawings. According to Yasmin, Iamie initially generated RM1,540 for his work. A few months down the road and his total income is now RM65,440. She said Iamie also managed to source projects from international companies without having to go abroad. 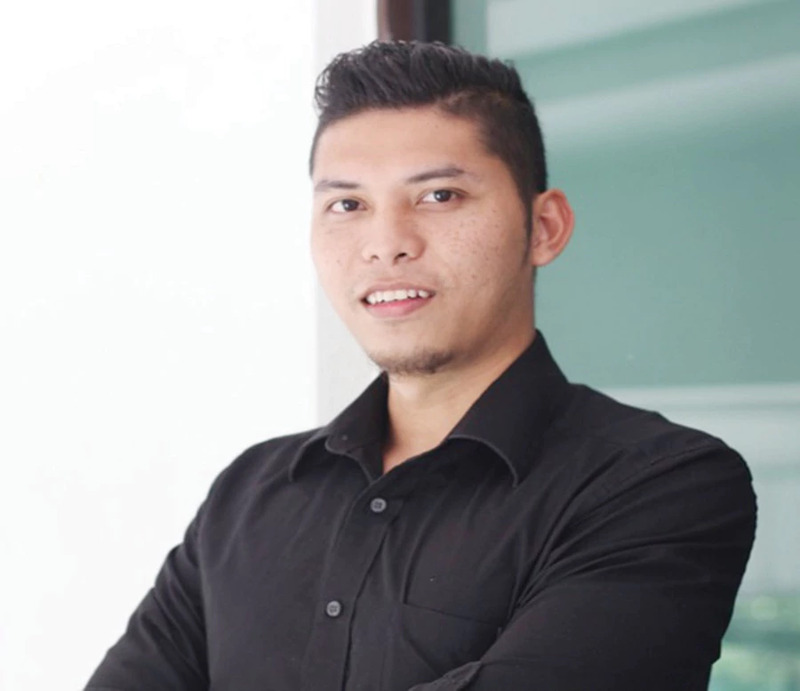 Iamie had a hard time finding a job before joining the eRezeki Global High Income programme. MDEC is bringing rural talents to urban and global markets this year. Yasmin said for a start, the agency may collaborate with Mydin to place the products there. “Blee (Barangan Luarbiasa Exclusive eUsahawan) will provide micro and small entrepreneurs access to new markets as well as provide free marketing tools and productivity. “As part of the initiative towards digitalisation, Blee strives to encourage local entrepreneurs, especially in remote areas, to promote Malaysian-made products,” she said. MDEC is also in the midst of partnering with the Employees Provident Fund and insurance companies to provide a proper retirement plan for freelancers. Yasmin said every entrepreneur in Malaysia should start a digital presence for his or her business.